Hybrid Camera Revolution: [11/25 UPDATE] More URSA Mini 4.6K on Vimeo! Is the wait finally coming to an end for the URSA Mini 4.6K and 4K cameras? Six months after their introduction at NAB, there seems to be movement on both the 4.6K and 4K fronts. Please keep checking back for the latest news and footage! "...The image is amazing. The video here doesn't even begin to show or do the camera justice, like I'm sure other footage will soon do. The color, weight, richness... just general mojo is f**king awesome. I'm really overly satisfied with the what's coming out of the Mini 4.6K." If you're interested in this camera, it would be worth your time to head over to Roman's post and read it in its entirety. Tom says of this picture, "You really feel the 15 stops of Dynamic Range on the URSA Mini 4.6K. Zero clipping in this frame." Here he says, "Just a couple of nodes give me rich deep colour on the URSA Mini 4.6K...grading is so easy with it." Really looking forward to seeing what this camera can do. More URSA Mini 4K tests as we await footage from the 4.6K camera. Even with YouTube compression, the Mini 4K continues to impress. 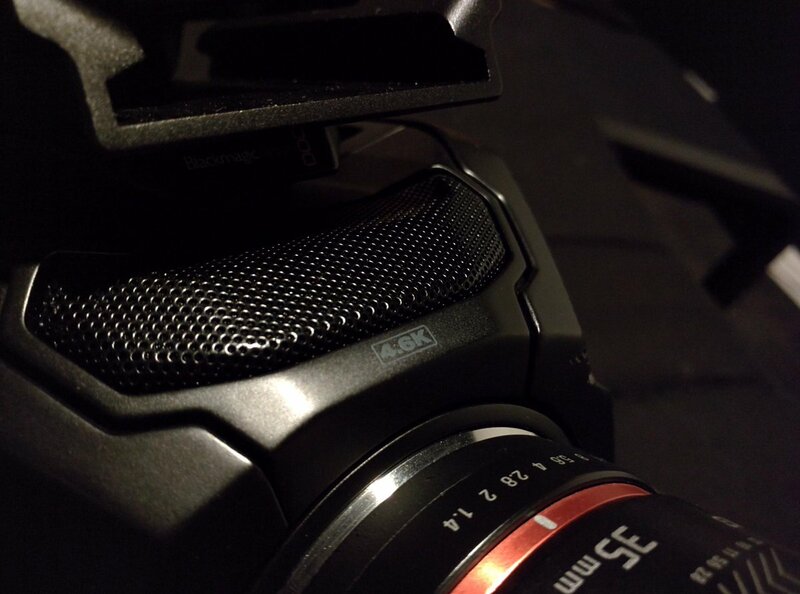 As more shooters get their cameras, the trickle of URSA Mini 4K test footage is turning into a flood. Three new clips were uploaded overnight. In one of them, we'll see how the Mini fares on a conventional counterbalanced stabilizer. The 4K continues to impress. Even with YouTube (and Vimeo) compression, the camera does a good job and looks like a winner. These tests are giving us a pretty good idea of what the 4K version of this camera can do - but (and I hate to sound like a broken record here), it has been 7 months since these cameras were introduced and potential buyers really need to see sample footage and reviews from the 4.6K before they decide which camera to invest in. In his second review (and comparison with the original 2.5K BMCC), Note says, "the body of the Ursa Mini 4K is simply better in every way when compared to the BMCC except in weight." He still likes the BMCC's dynamic range and gradability better, but also says, "I won't lie, the Mini 4K sensor has grown on me..."
Please head over to LightFormFilm for the rest of the story. Great new URSA Mini 4K EF review with test footage from Note Suwanchote at LightFormFilm. Note is using the Mini 4K to balance his gimbal and plans to sell it soon and buy the Mini 4.6K - but he took the time to go out, shoot some test footage and write down his thoughts on the camera for the community. In the pictures accompanying Note's writeup, the $1499 SmallHD EVF-502 SDI Sidefinder looks like a good fit for the Mini - so if you already have the SDI version of the Sidefinder, you won't have to buy a new EVF. Sadly, those with the HDMI version of the Sidefinder (or other HDMI EVFs) will have to buy something like a $295 Atomos battery powered SDI to HDMI converter in order to use their viewfinders with the Mini. Note says he was "pleasantly surprised at how well the sensor performs." Please head on over to LightForm for the full review. Emm at Cheesycam got a loaner URSA Mini 4K from the DVE Store (I'm jealous!) and, in his own inimitable style, rigged it up with gear he had on the shelf. I'll share Emm's pic - but for the rest of the story, you'll have to go over to Cheesycam. For me, the most interesting part of this setup is the validation of the Mini's compatibility with the $949 Cineroid EV4RVW and its iPhone-like Retina display. At $546 less than the $1495 Blackmagic URSA Viewfinder, this looks like a reasonably priced, high quality EVF alternative. Looking forward to footage from Emm - and please subscribe to and support his blog - he does great work for this community. Cinematographer/editor Norbert Bielan just posted a nice beach slow motion piece, shot with his new URSA Mini 4K and a Sigma 50mm f1.4 ART lens. He says URSA Mini still has some Fixed Pattern Noise (FPN) challenges, but is still, for the money, "the best camera in the world." Once again, this camera really shines in good light and at 1080/120p. Kudos and thanks to Jake - this quick look at the Mini is a real service to the community. Mat did a nice blog post on his impressions of the camera here. Bottom line: nicely gradable footage - the LCD is good for indoor work, but the camera needs an EVF outdoors - and FPN is still an issue. 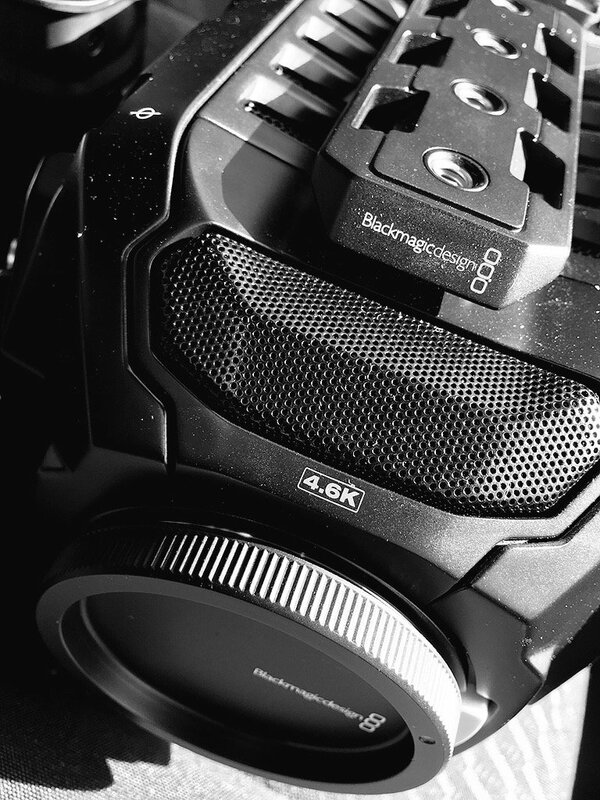 We knew this camera would inherit the FPN problem from the Production Camera 4K, so this isn't really a surprise - but it does beg the question - is Blackmagic working on a firmware solution? Or is it something BMPC 4K, URSA 4K and URSA Mini 4K owners will just have to live with? I hope not. Sony's quick confirmation of and commitment to fix the A7s II PAL "black hole" problem might be a good example for Blackmagic to follow. Hopefully, we'll see 4.6K tests from John Brawley and Tom Majerski soon. 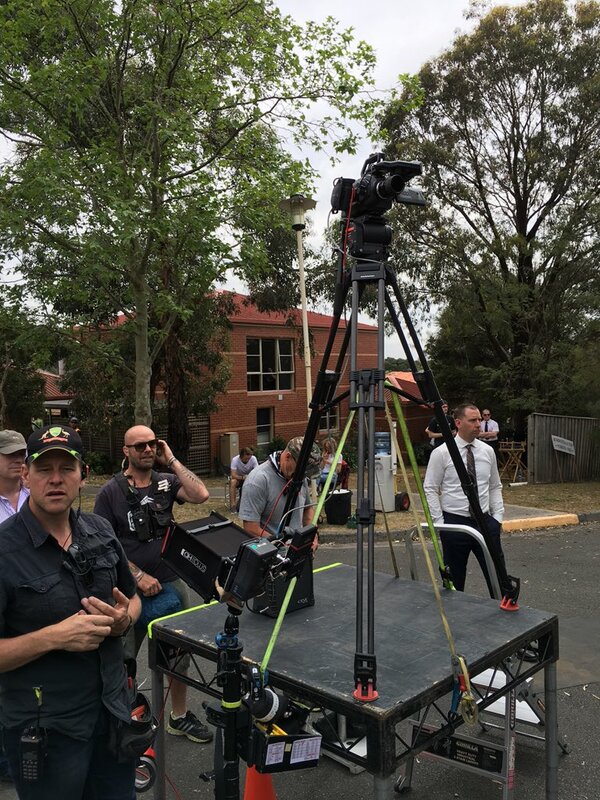 Australian DP and long time Blackmagic tester John Brawley tweeted this picture of the Blackmagic URSA Mini 4.6K on October 23rd. If the pattern of previous Blackmagic releases holds, John gets one of the first production units and will post one or two videos a few weeks before the camera actually ships. Hopefully, he'll write about the test and tell us now the camera measures up to his experience with Arri and RED. 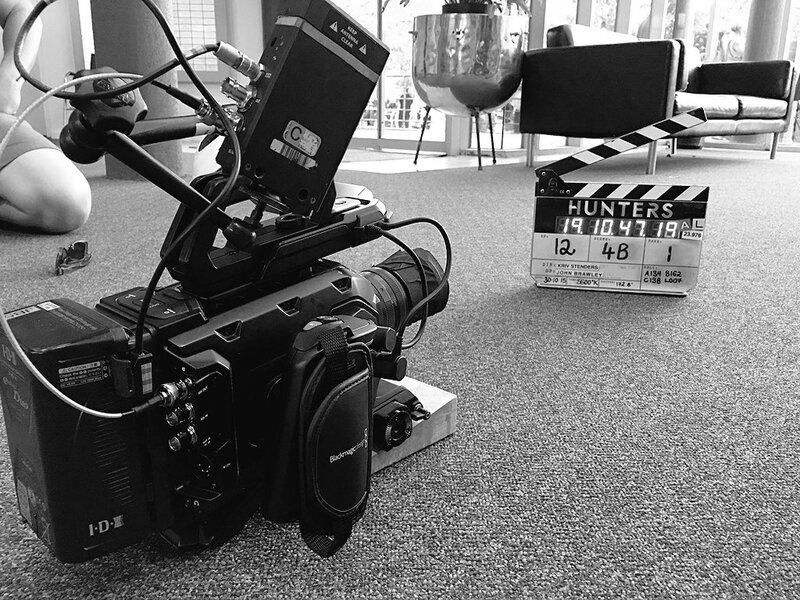 On October 27, UK DP Tom Majerski tweeted this picture of his test URSA Mini 4K. He says he is "having fun" and "very impressed." He also says "people will be very happy". I'm sure they will be - when they finally get their cameras. On the 4K front, we're starting to see test footage, first impressions and unboxings from shooters who have received their URSA Mini 4Ks. On October 21st, with his second post of URSA Mini 4K footage, amateur shooter "J" at Jsfilmz has scored another first. As far as I can tell, he is the first end-user to post Ultra HD/60p slow motion footage from this camera. J says he was rushed and didn't have a lot of time, but it's a nice grade and a useful demonstration of what UHD/60p looks like (taking YouTube compression into account). 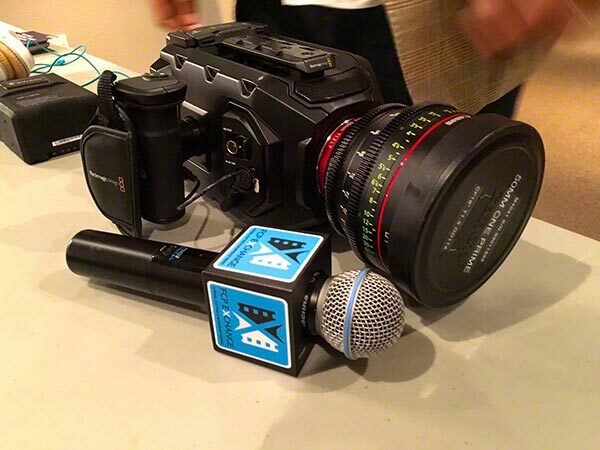 "I want to say how impressed I am with Blackmagic's industrial design team on this one. 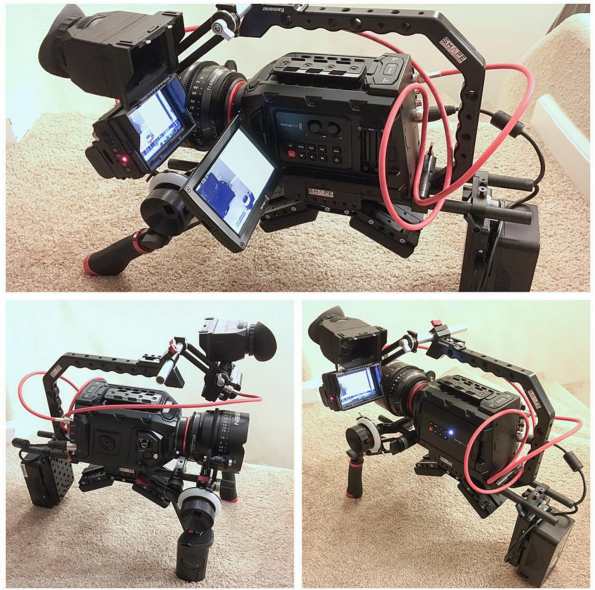 They have created a beautiful looking camera." 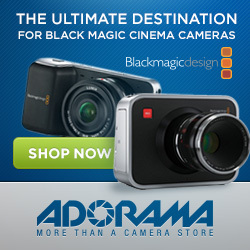 "I believe if Blackmagic Design follow the path they've started with URSA Mini in future products, they have a very strong future in front of them with far fewer design and ergonomic criticisms"
"...the URSA viewfinder is a work of art. It’s full HD, designed and built just as well as the camera and beats any third party EVF’s I’ve used. There’s no plastic in sight and it just feels like quality construction. 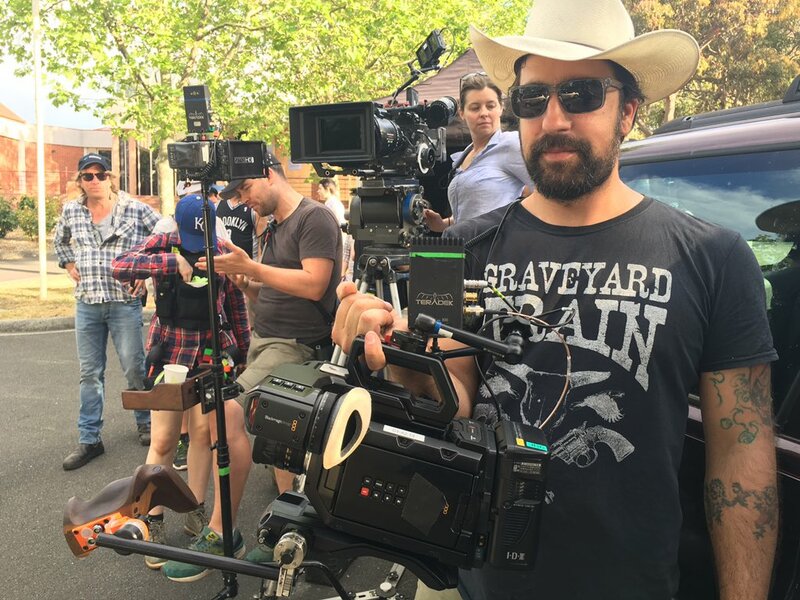 I would consider the URSA viewfinder to be a must-have accessory for URSA Mini and I think it will take care of the situations where the 5″ monitor is not bright enough." [On the 4K sensor] "...in most situations with enough light, using fast lenses it performs well...in low natural light situations the 4K sensor's performance falls off...This is why the new 4.6K sensor is such a potential game changer." I'm not a big fan of unboxing videos, but as an indicator that URSA Mini 4Ks are starting to ship, here's an unboxing posted by Mediacast Systems in Dubai on October 21st - so cameras are starting to arrive at dealers (in the Middle East, at least). The Mini looks like it will be a nice little handheld camera - even without the EVF. I will post footage as soon as it becomes available. And please check back over the next few weeks - I will keep this post updated as we start to see more URSA Mini 4K footage, hands on reviews and news.